Those cold dark nights are nearly upon us so here at Yahire we thought we would announce a warm hearted winter sale!! 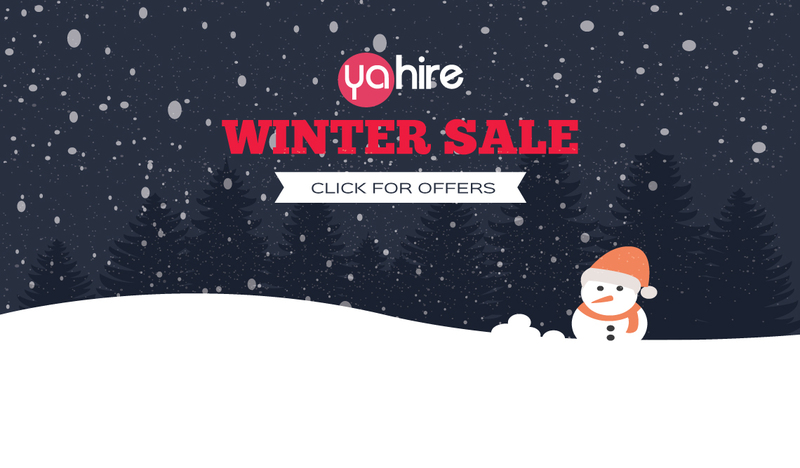 With Christmas nearly coming closer and everyone needing to be saving the pennies for those magical presents (the Yahire team would not say no to a box of Krispy Krème doughnuts or chocolates) what better time for a sale. We have offered savings on a variety of furniture hire items to cater for various different event types. We recommend booking at your earliest opportunity as this period is very busy and availability can become limited. For more info please visit our offers page or call 0207 112 8511.